It’s at the earliest stages that one develops inclinations and affinities towards music so, if your child already has, your next logical step is to provide a proper instrument. 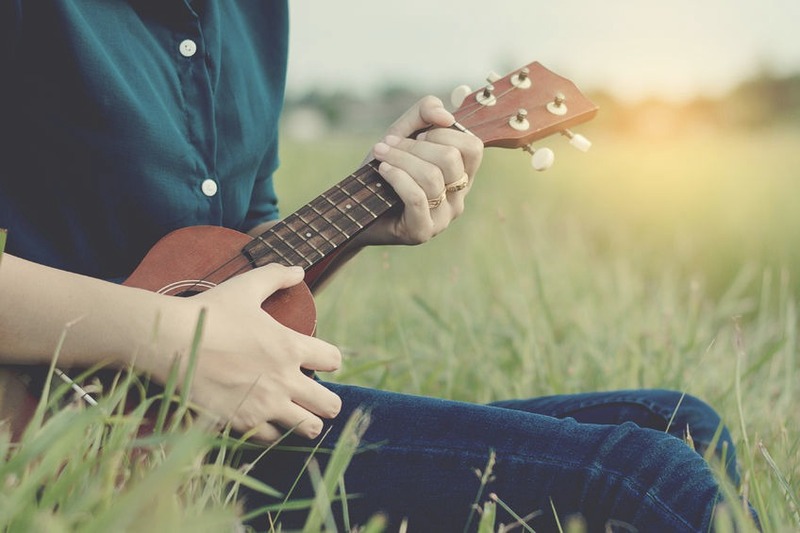 Some kids like pianos, others are in awe whenever a guitar is strummed, but let’s face it – ukuleles are absolutely ideal for children due to their small size and bright tone. If you’re asking yourself, “How do I know which ukulele is the best for my kid?” we’re here to help you answer it. In the sections below we are going to discuss several aspects of what makes the best ukulele for children. There are several ukulele sizes, including Soprano, Concert, Tenor, and Baritone. Obviously, the smallest of them (Soprano) is best suited for smaller children, but let’s acquaint you with all types of ukuleles for the sake of diversity – some kids aren’t exactly amused by small toy-sized instruments so Concert, or even Tenor ukes shouldn’t be crossed out straight away. The smallest ukulele size is “Soprano” – most models are approximately 20 inches long (around 51 centimetres), which is the sole reason why it’s a no-brainer if you’re looking for a child-size ukulele. 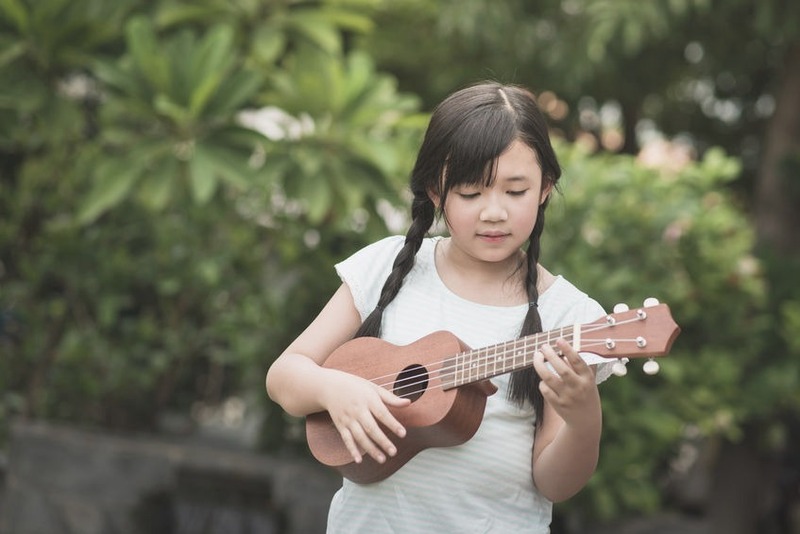 Apart from being the smallest, Soprano ukulele is also the lightest, making it ideal for the youngest children and elementary grade children. People who aren’t musicians by trade usually mix Soprano and Concert ukuleles – the fact is that these ukulele types are very similar, as they’re nearly identical in size and cost pretty much the same. However, Concert ukuleles are somewhat bigger than Sopranos – while Soprano ukes are 20 inches long, the Concert ukes are 23 inches long (approximately 58 centimetres). The body of a Concert ukulele is decently bigger when compared with a Soprano uke, while the longer neck means more space between frets. Even though this type of ukulele is just a bit heavier than the Soprano one, it’s rather easier to play and handle due to larger frets. 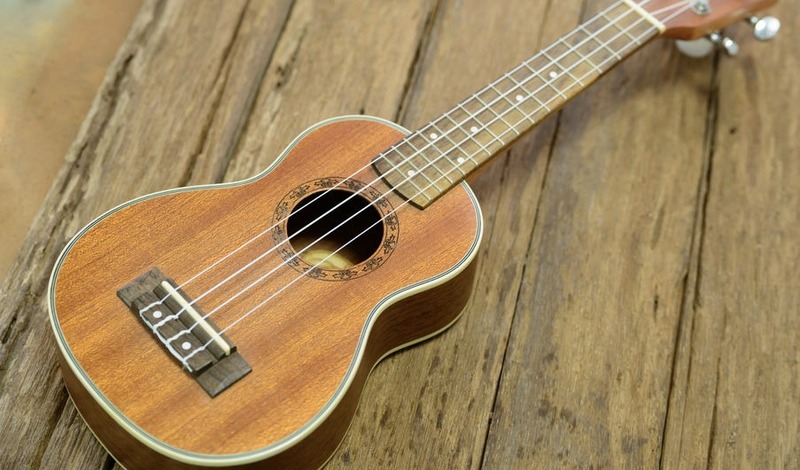 As for the sound, the strings’ span is longer (and tighter), which means that a Concert ukulele is louder than Soprano (the same goes for every next ukulele size type when compared with the previous ones). That being said, feel free to consider this ukulele type for your child if he is at least six years old. Tenor ukuleles are basically best when used by adults – they’re 26 inches long (approximately 66 centimetres), and they resemble a regular classical guitar. Tenors sound like regular ukes (only brighter and louder) and they’re mainly used by professional uke players. If your child is in the middle school (eventually high school), this might be the perfect size for her. Baritone ukuleles aren’t exactly popular – they’re very large (30 inches/76 centimetres), they sound very deep, and they’re quite heavy. That being said, it’s safe to assume that this isn’t a good pick for your child, as even most adults have a tough time handling them. What are the most commonly used materials in the manufacturing process of ukuleles? For starters, there’s Koa – it’s among the best uke materials, and most high-end ukulele brands use it. However, if you don’t intend to pay a fortune, settling for mahogany or spruce might do the trick. Let’s see what you should expect from these materials. Koa ukuleles are traditional Hawaiian ukuleles – they have an exquisite grain and they sound the best, although you should be prepared to pay top dollar for it. There’s a plethora of child ukulele models to be found online in the range between $70 and $100. Unlike Koa, Mahogany is a bit cheaper and sounds a bit duller. This is an excellent choice if your child never played a stringed instrument before, as the difference won’t be felt straight away and you’ll be able to save quite a bit of cash. Most mahogany ukuleles are in the range of $50. The spruce is among the most common ukulele build materials – it doesn’t excel in any particular field of performance, it’s not as durable as mahogany or as good-sounding as a Koa, but it could be a perfect solution for a first ukulele. One of the most devastating things that could happen to a beginner ukulele player (such as your child) is bad intonation of the instrument. Intonation refers to the instrument’s ability to be correctly tuned and various factors have an effect on this, particularly the quality. The so-called “action” has a lot to do with it – high action reduces playability while low-action lowers the quality of intonation. The action refers to the gap between the strings and the body of the ukulele. Imagine this – your child starts playing ukulele and she is getting quite enthusiastic about it. She is thrilled to get her own instrument but it doesn’t sound right, so she might think that she is doing something wrong. The problem is actually the instrument not being in tune. Toy-like ukuleles don’t even “have” intonation, as they won’t stay in tune and can’t even be tuned, for that matter. These models should be avoided. On the other hand, expensive ukulele models are seldom poor in quality, so they are capable of the highest levels of intonation precision. Picking a proper ukulele for your child might be a bit tougher than you initially thought – there are all kinds of ukulele types and sizes, all manner of brands, and discerning the good ones from the bad ones requires a bit of help and foresight. We hope that you’ve found the information we provided as helpful, and we wish you all the luck in finding the right ukulele for your child! You can read lots more information about ukuleles here!